Directions: Soak a cotton pad with the toner and gently wipe it all over your face after washing. Make sure to shake it well before use because it contains powder (as seen in the picture below). Price: ₩18000 (est. 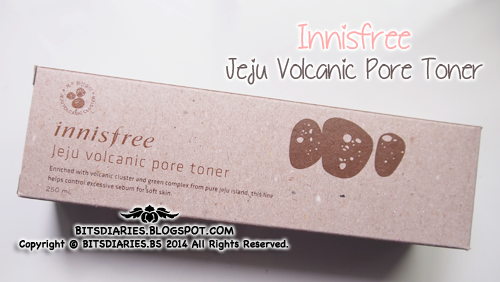 SGD$22) / Retail price in Innisfree SG: SGD$30. 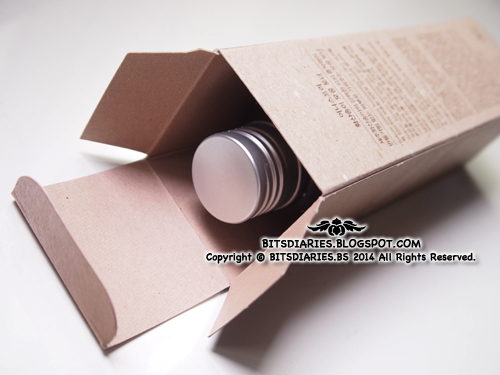 The bottle of toner is packed in a rectangular paper box made of recycled materials. 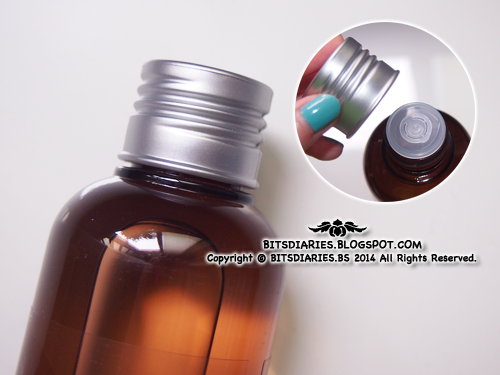 The bottle itself is made of plastic and comes with an aluminum screw-off cap. 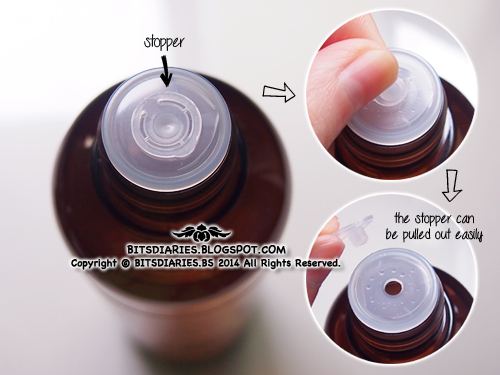 The opening of the bottle is well-sealed with a stopper and the toner can be poured out effortlessly from the small opening. After shaking the bottle, the toner (being poured out) remains clear even though it contained powder. It has a watery texture, neither drying nor oily, and it does not leave skin feeling sticky after absorption. The oil control ability of this toner is low-average in my view. For optimum oil-control results, I advise to use together with the rest of Jeju Volcanic products. 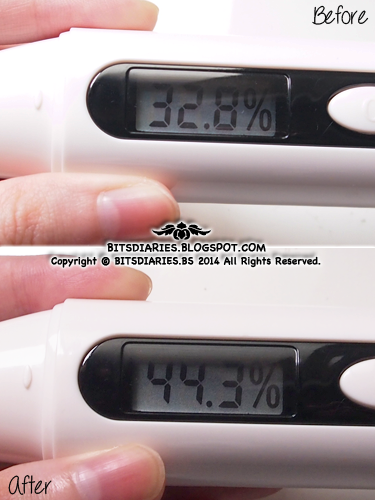 Before the application of the toner, my skin moisture level was 32.8%. After application of the toner, my skin moisture level increased to 44.3%. So there was an increase in my skin moisture. Therefore, I concluded that this toner isn't drying instead, it hydrates the skin. 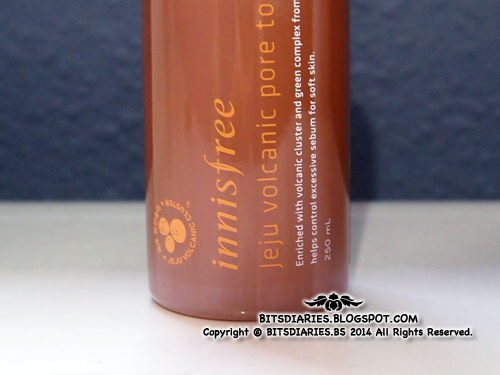 Verdict: Innisfree Jeju Volcanic Pore Toner purifies and clarifies the skin, preventing pores from getting clogged. It leaves skin feeling refreshed without leaving a sticky and greasy layer. It also helps to control and balance the sebum production but it's not too strong that it dries up the skin. With a balanced sebum production means less clogging pores and that helps to reduce pimples occurrence. I'm not sure if this toner helps to tighten and minimize the pores... maybe it does, but less apparent so I can't tell... 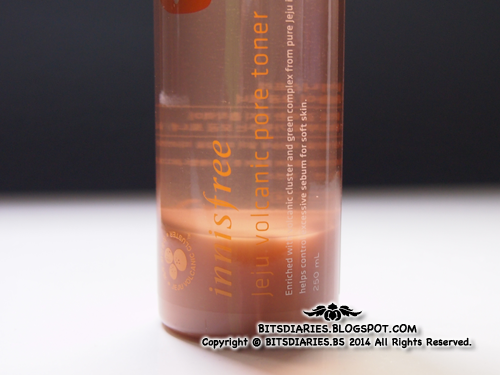 But I did realize my pores were minimized after using this toner with the rest of the Jeju Volcanic products. Therefore, if you want to achieve a significant results in pores size and oil control, I recommend to use this toner with the rest of the products from the Jeju Volcanic skin care line. However, I wouldn't recommend to try this skin care line if you have dry skin. I have oily and combination skin (oily T-zone, dry and normal in other areas). This Jeju Volcanic skin care line controlled the sebum of my T-zone but it also controlled the sebum of my dry and normal areas, which made my dry and normal areas even drier. Hence, in my opinion, this skin care line works best for people with oily skin and not so much for combination/dry skin. Can I ask you something? Where did you get that device that measures your moisture level from? What brand is it? would you be uploading a review on the volcanic pore essence? Do you think the essence works ?